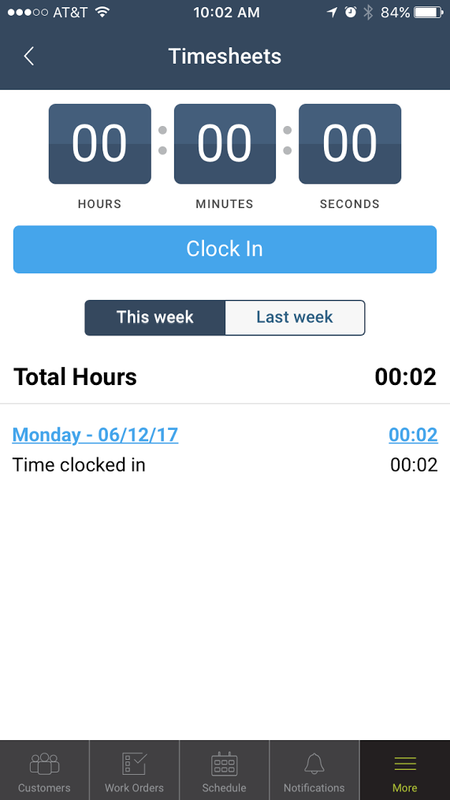 Your staff can view time clock entries they have made for the current week and previous week in the mHelpDesk mobile app. Click on Day/Date to select it. View the clock in and clock out details for that day including your location when you clocked in or out. Contact your account administrator for any additions or edits.